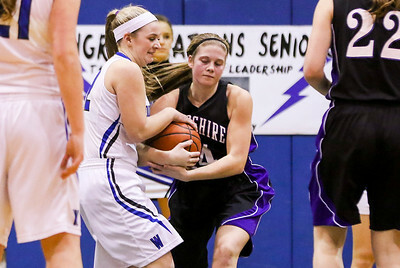 Sarah Nader- snader@shawmedia.com Woodstock's Brecken Overly (left) and Hampshire's Nikki Dumoulin fight for control of the ball during the third quarter of Wednesday's game February 4, 2015. Hampshire won, 69-52. 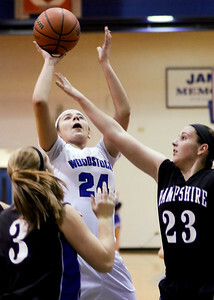 Sarah Nader- snader@shawmedia.com Hampshire's Rachel Dumoulin shoots during the third quarter of Wednesday's game against Woodstock February 4, 2015. Hampshire won, 69-52. Sarah Nader- snader@shawmedia.com Hampshire's Emma Benoit (back) is guarded by Woodstock's Selena Juarez while she shoots during the fourth quarter of Wednesday's game February 4, 2015. Hampshire won, 69-52. Sarah Nader- snader@shawmedia.com Hampshire's Emma Benoit (left) guards Woodstock's Selena Juarez while she dribbles down court during the first quarter of Wednesday's game February 4, 2015. Hampshire won, 69-52. Sarah Nader- snader@shawmedia.com Woodstock's Selena Juarez (left) is guarded by Hampshire's Payton DeChant while she shoots during the first quarter of Wednesday's game February 4, 2015. Hampshire won, 69-52. 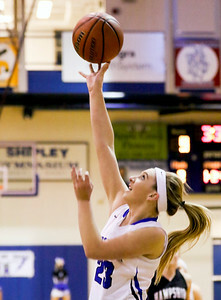 Sarah Nader- snader@shawmedia.com Woodstock's Autumn Overly shoots during the first quarter of Wednesday's game against Woodstock February 4, 2015. Hampshire won, 69-52. Sarah Nader- snader@shawmedia.com Woodstock's Jenifer Crain (left) and Hampshire's Claudia Lazar jump for the rebound during the first quarter of Wednesday's game February 4, 2015. Hampshire won, 69-52. 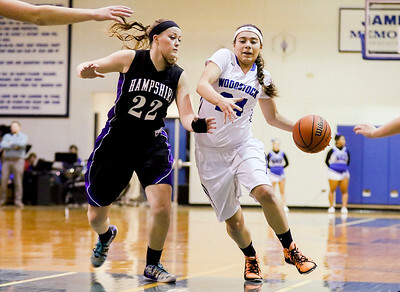 Hampshire's Emma Benoit (back) is guarded by Woodstock's Selena Juarez while she shoots during the fourth quarter of Wednesday's game February 4, 2015. Hampshire won, 69-52.